Hedge Trimming and Pruning – Let Us Help You! 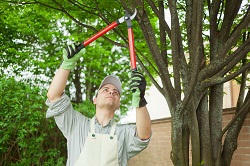 Hedge trimming and pruning is absolutely essential if you have hedges and plants in your garden. However, it is important to remember that this is something that requires a lot of time, which many people don’t have a lot of spare, and also a lot of hard work. This is why it tends to be a much better idea to leave it to the professionals, like us here at Gardening Gardeners. Our hedge trimming and pruning services are second to none. Our team of gardeners have years of experience between them, and they are here to help you create the garden that you have always wanted, and keep on top of it once it has been created. As well as the services mentioned above, we also offer a range of other gardening services as well. These services are all highly affordable, and carried out by highly trained professionals. If you would like to discuss with us any of the services that we are able to offer, or you simply have a few questions that need answering, then please don’t hesitate to get in touch with us today. There are a few different ways that you can do this. If you would like to talk to a member of staff directly, then the best thing that you can do is to give us a call. You can call us today on 020 3608 9323 and a member of staff will happily answer any questions that you have. What you may not be aware of is the fact that there are actually a number of advantages that come with leaving hedge trimming and pruning to the professionals. First of all, it is important to keep your safety in mind. Whilst carrying out this kind of gardening work sounds simple enough, there are actually quite a few dangers that come with doing so. 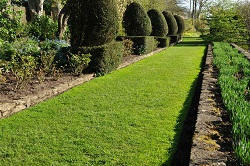 By leaving hedge cutting to the professionals, like us here at Gardening Gardeners you don’t have to worry about that. We have all of the safety equipment necessary to keep everyone safe whilst the work is being carried out. As well as this, it is important to consider the life span of the plants. If they are not trimmed and pruned in the correct manner, then there is every chance that you could damage them. Obviously, this is something that you will want to avoid if you can. The best way to do that is to leave it to the professionals. Our team of tree surgery experts have the knowledge and the experience required to make sure that none of your plants and hedges become damaged whilst the work is being carried out. These are just a couple of the advantages that come with hiring a professional gardener to carry out your tree surgery or hedge cutting work, there are actually plenty of others too. If you think that you can benefit from any of the gardening services that we are able to offer you, then please don’t hesitate to get in touch with us today. Our team of gardening experts will be more than happy to answer any of the questions that you might have about our services. You can also run any of your ideas past our team of staff as well, and they will be able to advise you as well. If you want to get in touch with us today, then there are a few ways that you can do so. However, the easiest way of getting in touch is to give us a call where a member of staff will be there to discuss things further. You can do so by calling us on 020 3608 9323 today. Copyright © 2014 - 2015 Gardening Gardeners. All Rights Reserved. Description: Call us now on 020 3608 9323 if you are looking for experienced and innovative gardening company in London for all kind of gardening and landscaping services.